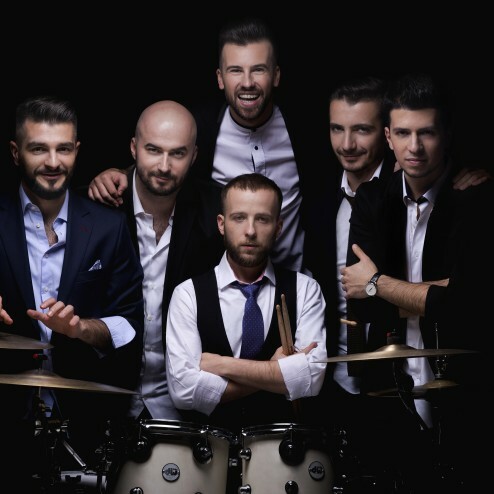 Formed in 2012, by Florin Ristei and Serban Niculae, FreeStay becomes in a very short time one of the most successful projects of “live band” in Romania, a natural continuation of the success achieved by Florin Ristei, founder of the band “Amici”, that released the smashing hit “Dana”. With an electrifying show, in which famous international songs blend with famous Romanian covers and original songs, through each appearance, FreeStay consolidates its position as the top show-band. 2013 – Florin Ristei, the lead singer, is the big winner of X Factor Romania, where his coach was Delia Matache. FreeStay participates with the song “Criminal Mind” at Eurovision Romania in 2013. In October 2014, FreeStay releases at a live concert, the amazing song – “O altfel de magie”. Two-years residency band in a club from Bucharest, FreeStay manages to amaze its public through each performance, with a various repertoire and a great stage presence. In the month of love, February (2015), the band made a surprise to all those who know how to value the pure love beyond words and beyond promises, and released the song “Cersetori de iubire”. September 2015 – FreeStay released the single and video “Trebuia sa fii tu”. The single is composed by Beldo Mahia, who is the featuring artist. The video, which illustrates two parallel worlds that have in common the love, is directed by Richard & Claudiu Stan and was filmed over 24 hours in Bucharest. The video has over 10 million views on YouTube in less than three months since its release.